I want to be a LIBRARIAN! Submitter: This is a paean to the ultimate 70’s vehicle, the van. Of course it includes lots of color photos of sweet tricked-out vans, complete with nature scenes painted on the outside and shag and velvet on the inside. Holly:My favorite is the one with flames painted on the side. Other than the fact that this book looks a little worse for wear, it’s pretty cool. What a perfect specimen for ALB! It’s unusual, nostalgic, and an example of something that was really cool in 1977 when it was published. I leafed through this book myself and was thoroughly entertained. Anyone who loves old books will love this! It most definitely does not belong on the shelves of the small public library that submitted it, but what a great display item or book sale find. Mary: This might be a keeper in the Detroit area! We love our automotive stuff. For the record, I doubt my mother would have let me date anyone cool enough to drive one of these awesome machines. I am sure only dangerous boys drove these vans. Previous Post:I want to be a LIBRARIAN! I drive a van that looks kinda like those (a bit newer, though): however, mine is so rusty and beat up, it really defeats the benefit of the cool stripes and excessive windows. It even used to have the cool mag wheel hubs…but they were aluminum and so beat up, the tires had trouble holding air anymore. Time passes, and eventually that book will be the only evidence left of gaudily-upgraded vans. I don’t think that’s an awful library book, I think it looks pretty cool! Reminds me of the Mystery Machine in the Scooby Doo cartoons. My uncle had one of these, with a wet bar, shag carpet & Blondie on the 8-track player. Good times. 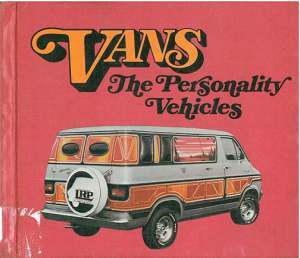 My parents had a van when I was a kid that would be at home in this book. I thought the bench seat that transformed into a bed was *awesome. * This made me giggle, and I was kind of glad that some libraries have this in their catalog. Holy crap! This book was on our holds list today for the library I work at! I couldn’t find it, however. But we all need to do some serious self reading anyway. My fiance would LOVE this book! Which could be a bad thing, since he loves to paint his cars/vans/trucks in “old-fashioned” styles (he’s a 28 year old- but a 90 year old in his mind!) and I often have to ride in these vehicles, etc! Hopefully my library does not have a copy, so I can live a little bit longer without the nature scenes, shag carpets, and whatnot as his next project. 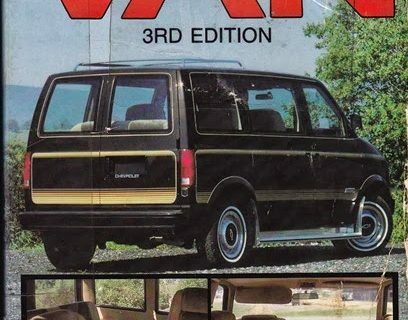 My dad bought a dark green dodge van in the ’80’s when his kids were teenagers. I don’t know what he was thinking. 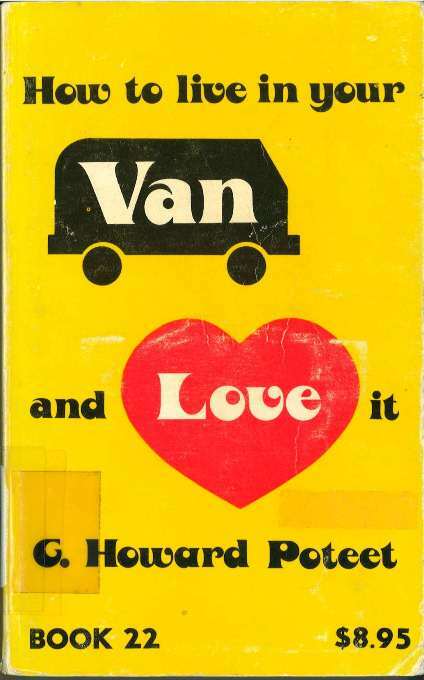 The van had been customized by a retired fireman–he pinstriped it and around the back the pinstripes formed into a tiny fire hydrant and the word “HOSEWAGON”. Those were the days. If By ALB you mean AWESOME Library Book! This goes so far into awful it comes out the other side. My parents totally had one of these vans in the early 80’s. I remember the shag carpet and window vinyl with a cowboy on a horse and mountains. Ahhh….the good ole’ days!! I just had to pull this book for a hold last week and I was getting ready to send it to you guys!! Meghan, you wouldn’t happen to work in the Orange County PL system in California, would you? Cause we had it for a hold at my library but couldn’t find it. The “vanning” scene is still going on! From what I’ve read on their message boards, these dudes still like to campout and party! I bought this book at a used bookstore a few months back and it has pride of place on my coffee table. Isn’t that a photo of Napoleon Dynamite’s uncle’s van? I smoked weed in that. This should never be weeded. I own two of these. And they are correctly termed “Shaggin’ Wagons” or “Love Boats”. Brian’s comment above that it wasn’t just “dangerous boys” who drove these is right. All kinds of people drove them and you saw them everywhere. They weren’t drag-racing performance vehicles or anything like that, more appearance modifications than anything else. 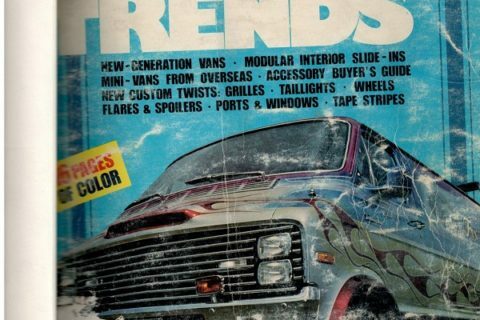 I still think of them as Good Time vans, after one of the better-known van modification businesses of the time. There were pop songs about them, movies about them, even a late-90s episode of “That 70s Show” about them (“Vanstock”). 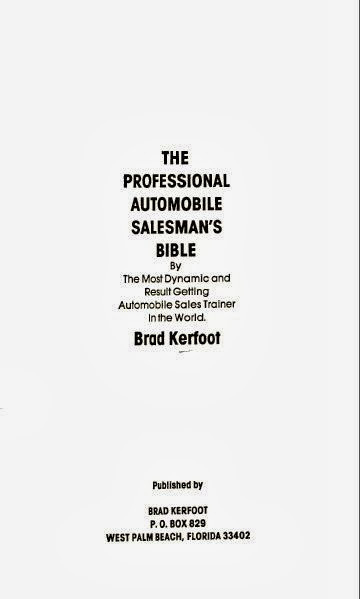 I would love to have this book, I’m singularly attempting to bring vanning back in style with my retired fire rescue 1976 chevy cargo van. Seriously. I still remember my Dad turning around to me one Sunday and telling me that I was never allowed to date a boy who had a van. This was after I proclaimed how cool a Mystery Machine van was that we had just passed on our way home from church. I think I was about 12 at the time. that book looks ace- and i agree the gold van with the flames looks so fierce! I want a camper. We weren’t all dangerous. Though many parents thought we all were. I had one that had the mountain scene with the sunrise coming up on one side, clouds & cliffs on the other. Yes, it also had the side pipes, shag carpet, paneling, padded doors, the whole 9 yards. Loved it…. I need to get some nice wheels like that for my van! lord knows it need em!